Motorcycle scrapping and cutting, spare parts, sale online. Sure we have your piece, if we do not we look for it! fast and efficient service, article sent according to the above web and value. WHY BUY IN OUR SCRAPPING? Genunie used Honda parts for Honda SH 125 are now available, year model 2001 to 2016. Honda PCX 125 dismantling parts now available for 2010, 2011, 2013 year models. >> With just 7000 km of use we already have a 125cc Piaggio Medley completely disassembled, except for some front covers the rest (more than 100 pieces of all kinds) are in very good condition. >> Four new motorcycle dismantling we made this week, it is a Yamaha Vity 125 of the year 2011, a Cagiva Raptor 650 of 2006, a Daelim Roadwin 125 Fi of 2010 and finally a new Honda CBR 125R of the year 2012. >> Kymco Superdink 300 cc year 2010, now available complete dismantling with more than 70 used spare parts to buy. >> In our Promotion section you can already find a wide range of new and unused Fork Bars (original type) for motorcycles and scooters, available in different colors and versions. >> The latest scrapped motorcycle is a Suzuki GSR 600 from 2007, injection model in black, with a total amount of 54 spare parts still useful. >> If you are searching for some used spare parts for a Yamaha Aerox, you've found the right place. We have scrapped several models, from 2000 to 2008. >>A new Microcar has been incorporated in our website, specifically a MC1 from 2004 in red, with almost every spare part still useful, since it only had 6.101 km. >>We've finished the complete scrapping of an amazing Yamaha FJR 1300 from 2013 which was only damaged on the side where it fell. Everything else was in good condition, with just 26.081 km, so we have dismantled it and checked a total amount of 130 spare parts still useful. >>The 125 cc scooters have a central rol in our website. You can already find here scrappings from a Kymco Grand Dink 125 from 2004, Piaggio X8 125 from 2007, Honda S-Wing 125 from and a Suzuki Burgman 125 from 2008. >>More than 100 spare parts are available for a Piaggio Beverly 125 from 2005 and a Suzuki Intruder 800 Volusia from 2004, the last one with a complete scrapping, since its engine didn't start anymore. >>The moto scrapping from a Kymco People S 50 2T from 2016 in silver gray is already available. This motorcycle was in really good condition. >>We've finished the dismantling from an Aprilia Atlantic 300 from 2012, injection model in shiny black. This scooter only had 8.240 km, so it was in really good condition, specially its covers. There are 110 used parts available for this motorcycle. >>We have a great range of exhaust pipes. You can already buy your MIVV exhaust pipe in our website, in any of its versions (Suono, Ghibli, GP, Oval, M2, Double Gun, X-Cone, Speed Edge or whole exhaust pipes). 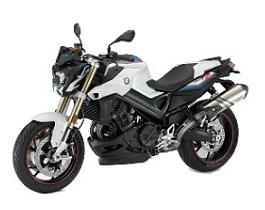 Currently, we have the BMW models and we are working to have the APRILIA ones. If you are looking for a MIVV or any other make of exhaust pipes, please contact us. >>Within our motorcycle batteries promotion, where we already had makes like Yuasa, BS, TAB and Power Thunder (affordable range), we have included the battery make EXIDE, but if you can't find the right battery for your motorcycle, please don't doubt about contacting us. >>As you already know, we have a dedicated space for Leovince exhaust pipes, which are receiving a great acceptance among our customers. You can find there your new and unused exhaust pipe with a really good price. The last incorporations in Leovince exhaust pipes are for BMW and Triumph motorcycles. >>The whole Derbi GPR 50 Racing from 2007 scrapping is already done. The model has white/red/black fairing covers and we've been able to obtain 78 spare parts ready to be used again. We also have in our hands the Yamaha Aerox 50 from 2008 dismantling, with blue/black covers. >>Keep an eye on our new product category of Tires, where you'll find three different kinds of tires for your motorcycle: used, new and unused with a sale price and new tires. Among the different models, you can find Pirelli, Diablo, Bridgestone Batlax S20, Batlax BT 016 Pro or even Angel ST tires. In MotoScrapping VFerrer we know that buying a used part is likely to involve a trust issue about the real condition of the part. Questions like 'Will it serve me? ', 'Is it the right one for my motorcycle? ', 'Will it break shortly after buying it?' 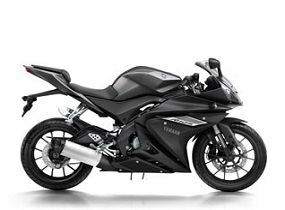 are usually asked when buying a scrap part and it is usual to distrust a motorcycle scrapping. It is therefore important to us that you see us, not only as a scrapping, but also as a used spare parts shop, with complete operating assurance and a return service. We offer a one-year guarantee in every single one of our used parts. Not every scrapping is the same, and we want to set us apart from the rest. You just have to look at our clients opinions to see that we accomplish it. Thank you for trusting our team!